Right before my 10th grade school year, our family moved from New York to Utah. At that time I don’t think I could have located Utah on a map, although geography has never been one of my strengths. Salt Lake City was quite different to me, in so many ways. Regarding the food scene, well, there was none. Not that I was a modern foodie in 1970, but my mother certainly was. There was no Chinatown, no German deli, not even a cheese shop. In fact, Salt Lake City remained in the culinary dead zone for a long time, until nearby ski resorts like Park City, where we lived, became popular to the world. After graduating high school, I moved west for college, but when I went home for visits, there was one restaurant that my mother and I would lunch at when we shopped in Salt Lake City – it was our only choice – Marie Callender’s. Because of having been raised and fed by my mother, who was a chef in her own right, I wasn’t a burger and sandwich eater. But there were a few things on the Marie Callender’s menu that I liked, especially the wilted bacon salad. Plus I always had sour cream raisin pie for dessert. 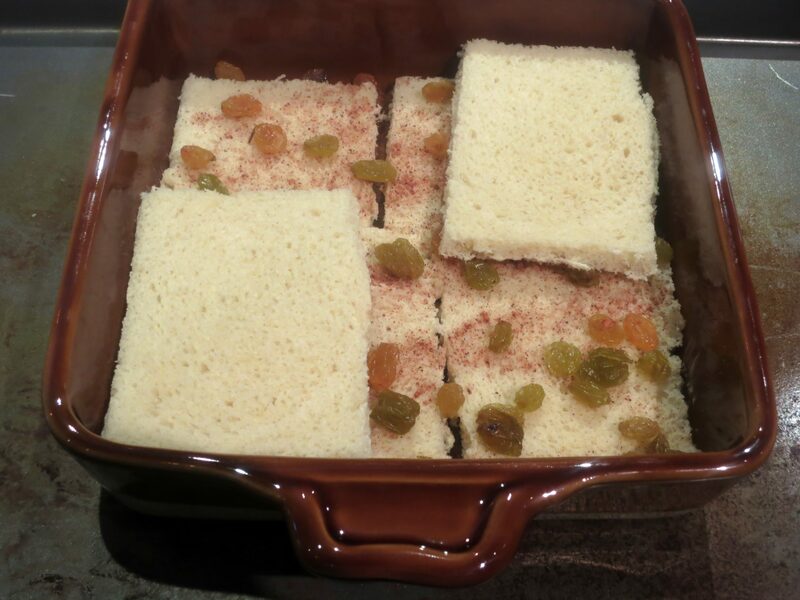 I remember it well – the creamy filling with the soft raisins and the meringue on top. And even back then I wasn’t much of a dessert eater. So recently I was shocked to come across a sour cream raisin pie whilst browsing on Epicurious.com. It’s funny how food-related memories come rushing back. I decided to go online and check the spelling of Marie Callender for the sake of this post, and discovered that her restaurants are still around. Sadly, neither my wilted bacon salad nor this pie is on their menu anymore. But there is an interesting story about Marie Callender, who was a real person and a pie baker from California. I never thought about Marie possibly being a real person. These days, if I were to pass by a Marie Callender’s restaurant, I’d turn my head and give a little chortle. Sorry Ms Callender. It’s just not my type of restaurant. But back in the days when I had no other choice, Ms. Callender satisfied my gastronomic needs. I’m making this pie in her honor. Below, a young and older Marie Callender. Here’s a sour cream raisin pie recipe, from Epicurious.com. In a bowl soak raisins in water to cover by 2 inches at least 8 hours and up to 1 day. Drain raisins in a sieve. I also let them “dry” a bit on paper towels. On a lightly floured surface with a floured rolling pin, roll out dough into a 14-inch round (about 1/8″ thick) and fit into a 9-inch glass pie plate. Trim dough, leaving a 1/2-inch overhang, and crimp edge decoratively. Chill shell until firm, about 30 minutes. Lightly prick bottom of shell all over with a fork and line shell with foil. Fill foil with pie weights and bake shell in middle of oven for 15 minutes. 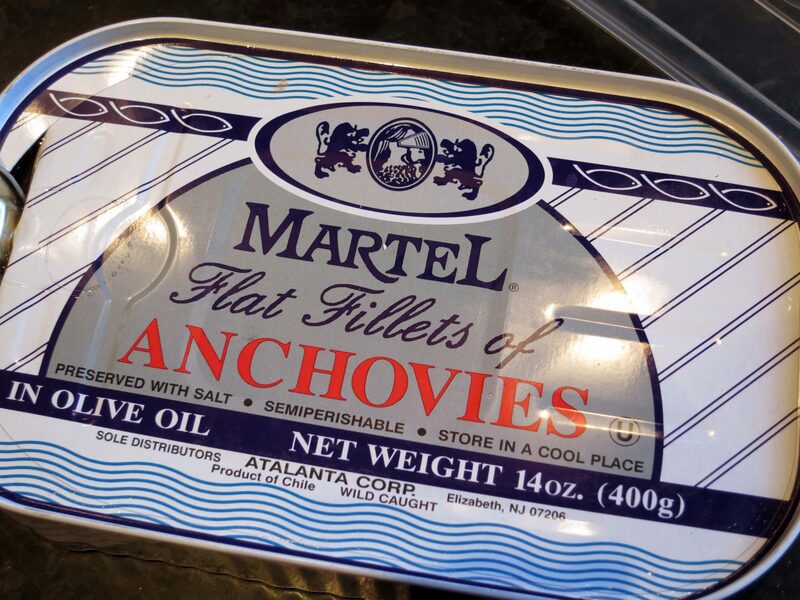 Carefully remove foil and weights and bake shell until golden, about 8 minutes more. Cool shell in pan on a rack. Reduce temperature to 400 degrees F.
Separate eggs. Chill whites until ready to use. Reduce temperature to 350 degrees F and bake pie 30-40 minutes more, or until filling is set. Remove pie from the oven but keep temperature at 350 degrees F.
In another bowl with an electric mixer beat whites until they just hold soft peaks. Gradually add remaining 1/4 cup sugar, beating until meringue just holds stiff peaks. Spread meringue over warm pie, covering filling completely and making sure meringue touches shell all the way around. Bake pie in middle of oven until meringue is golden, about 10 minutes. Cool pie on rack and serve at room temperature. So I let the pie come to room temperature. It was magnificent, and so much like what I remember. The only negative might be the amount of sugar. If I make this pie again, I would only add 1/2 cup of sugar to the pie filling. 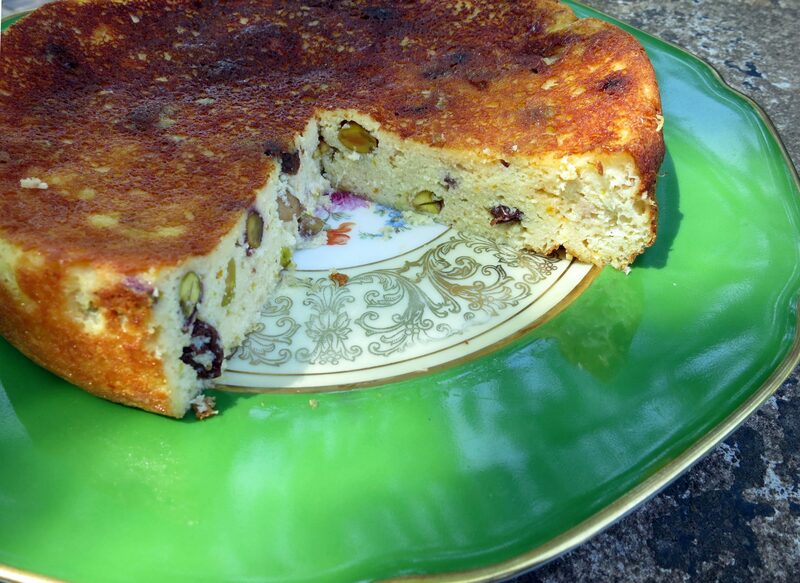 Keep in mind how lovely this pie would be during the holidays, made with dried cranberries! In a bowl soak raisins in water to cover by 2 inches at least 8 hours and up to 1 day. 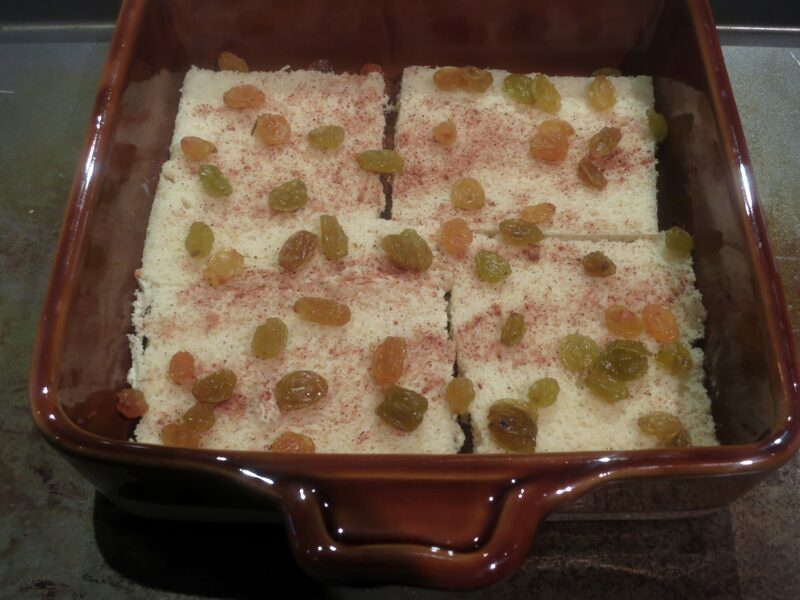 Drain raisins in a sieve. 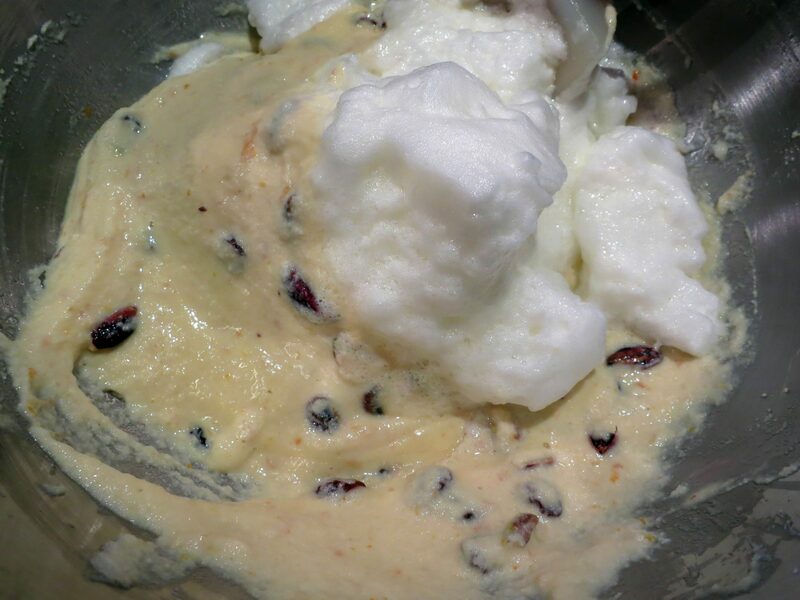 In a bowl whisk together yolks and sour cream and whisk in 1/2 cup sugar, flour, vanilla, cloves, nutmeg, salt, and raisins. Pour filling into shell and bake in middle of oven for 10 minutes. Bake pie in middle of oven until meringue is golden, about 10 minutes. Cool pie on rack and serve at room temperature. Pumpkin is not only for Thanksgiving time, or for just making pumpkin pie. After all, it is a squash. 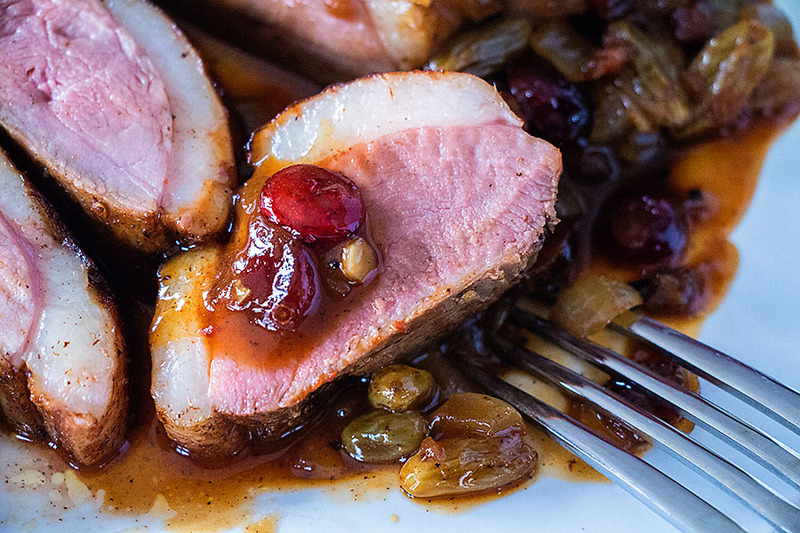 It’s healthy, delicious, and really versatile. I used to make pumpkin pancakes year-round for my daughters when they were growing up. They loved the pancakes and, unbeknownst to them, the pancakes were terribly healthy. 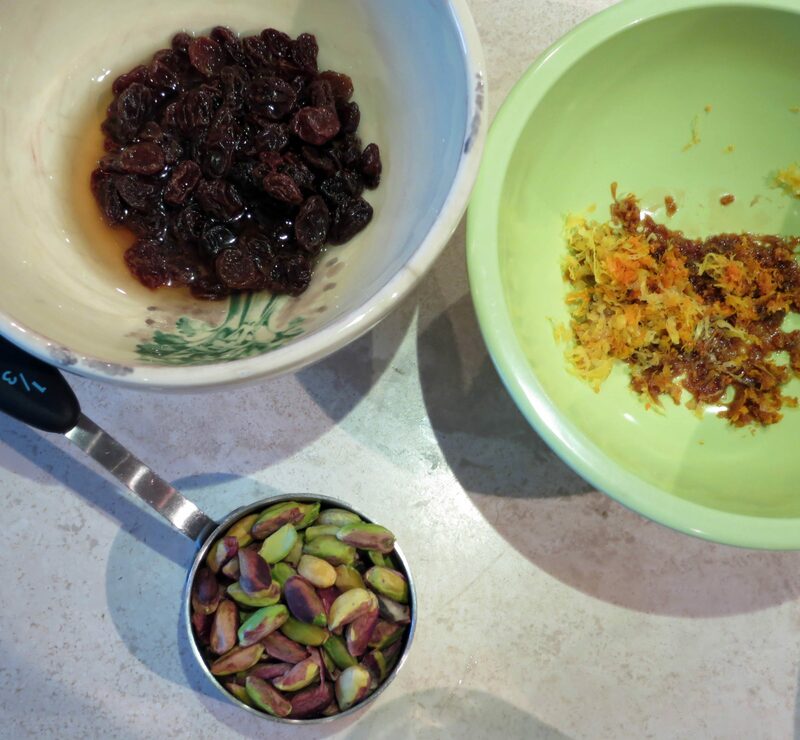 Place the raisins in a small bowl. 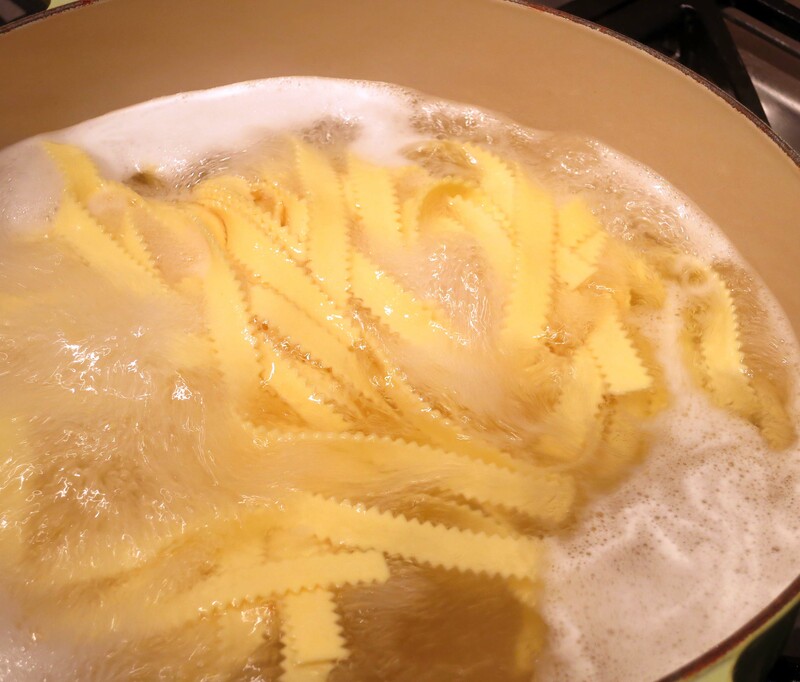 Pour the milk over them and let them sit for about 15 minutes, or even overnight in the refrigerator. Warm the milk slightly if the raisins are hard. In a separate larger bowl, add the eggs and pumpkin and whisk until smooth. Stir in the walnuts, cinnamon, and the raisins with the milk. Gradually add the pancake mix, but don’t overstir. You might have to adjust the quantity. 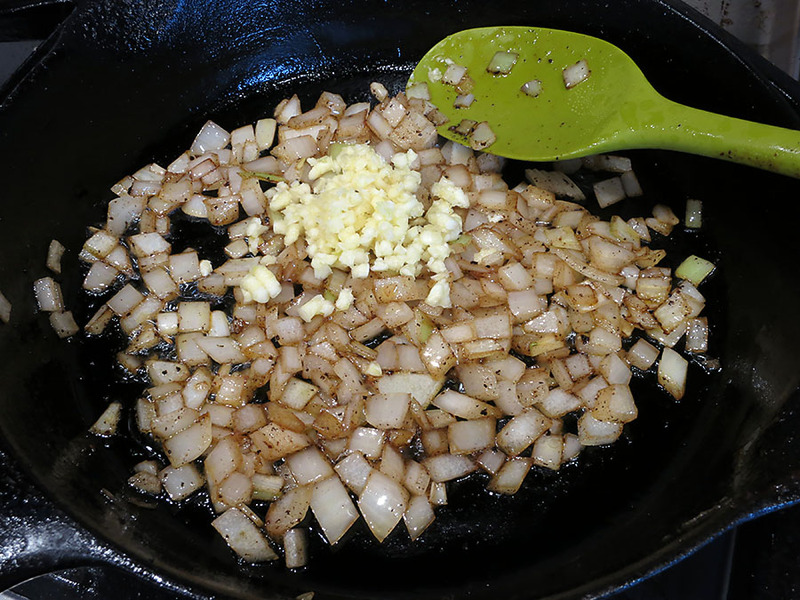 Place about one tablespoon of butter in a skillet or on a griddle. Heat it up over medium-high heat. I let my butter brown and even burn a little. When the butter is ready, make pancakes with the batter, spreading it evenly. Let cook for about a minute, then turn over, turn down the heat a little, and cook them for about 2 minutes. I like the outsides browned, but the insides need to be cooked through. When the pancakes have cooked, place them on a plate and continue with the remaining batter. Of course I add more butter to the warm pancakes. 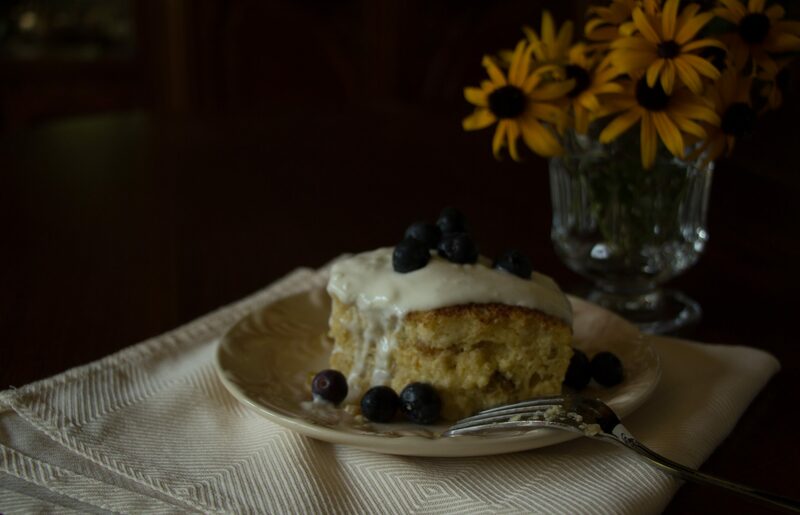 This recipe makes about one dozen pancakes, about 3″ round or so. note: Children may not like the walnuts unless they’re more finely chopped. Oats that have been soaked in liquid are another option for added texture and nutrition. 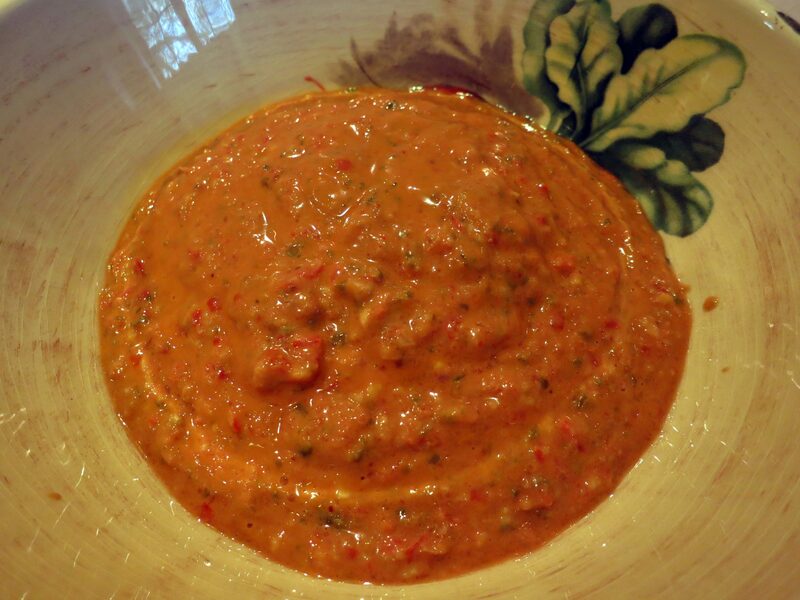 Soon after starting my blog, I posted on this miraculous concoction called Foriana sauce. I’d never heard of it before which is what I love about food and cooking. There is always something to discover. The recipe is in the cookbook, “Well-Preserved: Recipes and Techniques for Putting Up Small Batches of Seasonal Foods” by Eugenia Bone. She claims its origin is a little island off of the coast of Naples. I definitely need to visit this island to see what other culinary treasures they’re keeping from me! So I posted on foriana sauce back when I had about 3 followers, and it’s just too good to keep to myself. So this is a re-post of sorts. 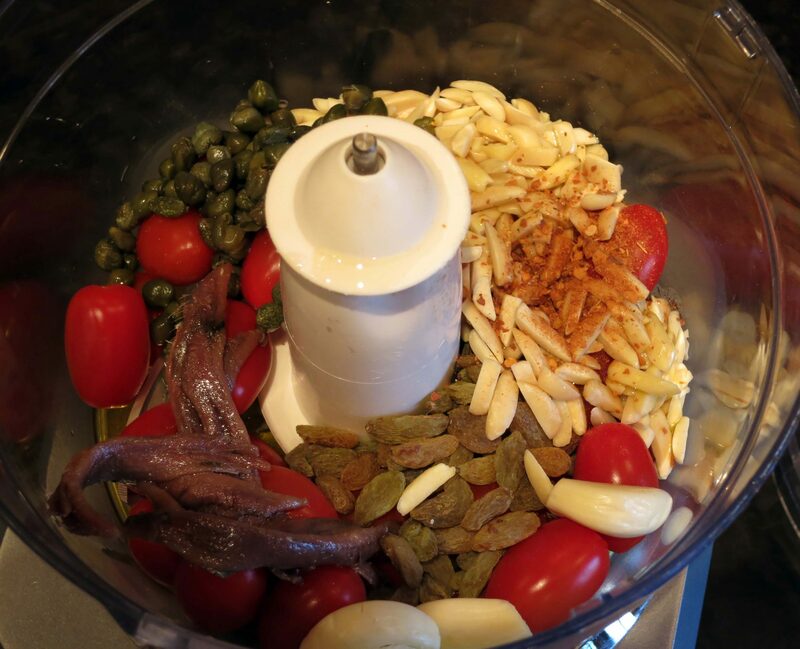 Place the walnuts, pine nuts,and garlic cloves in the jar of a food processor. Pulse until the nuts look like “dry granola.” Add the oregano and pulse a few more times. Heat a skillet over medium heat with the olive oil. 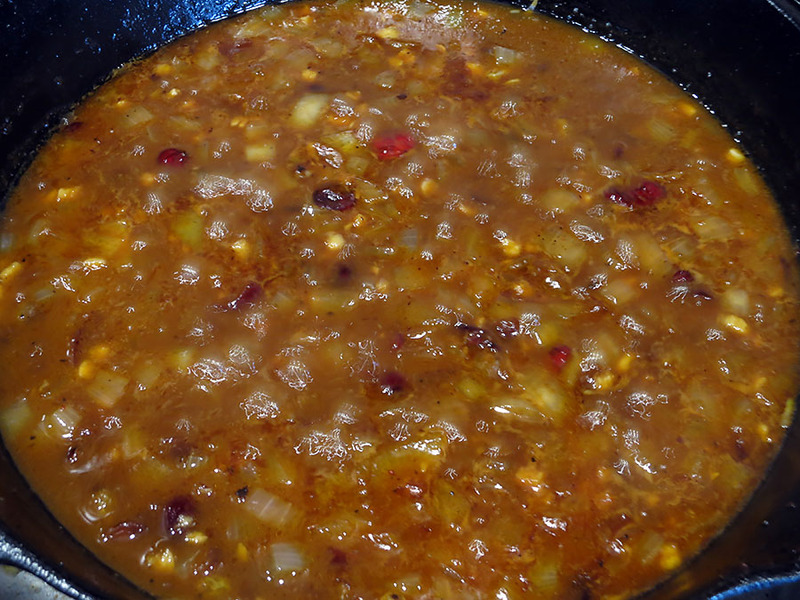 Add the nut-garlic mixture and the raisins and cook on the stove, stirring occasionally, for about five minutes. The nuts and raisins will caramelize a bit. Divide the mixture between 3 – half pint jars that have just come out of the dishwasher (sanitized) with their lids. Let the mixture cool. Tamp it down a bit to limit air pockets, then pour in olive oil until there’s about 1/2″ of oil over the nut-raisin mixture. 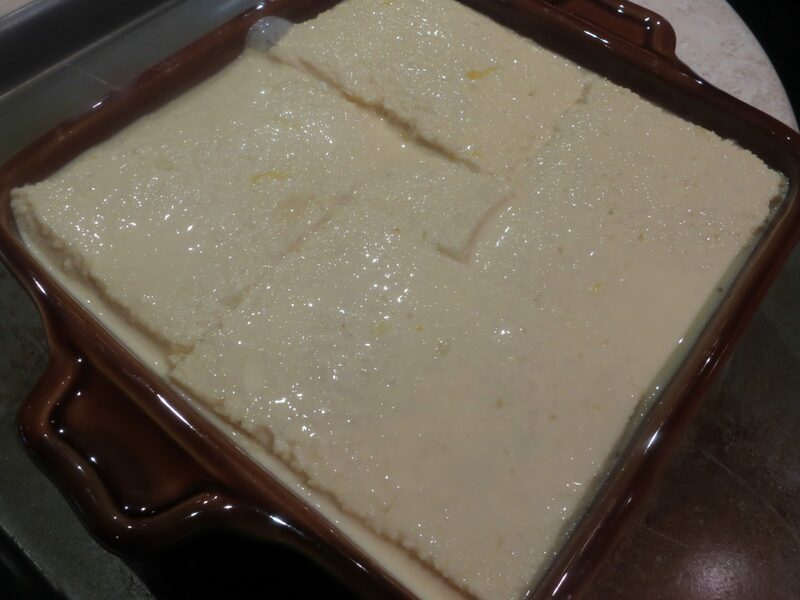 When cooled completely, cover and refrigerate until use. 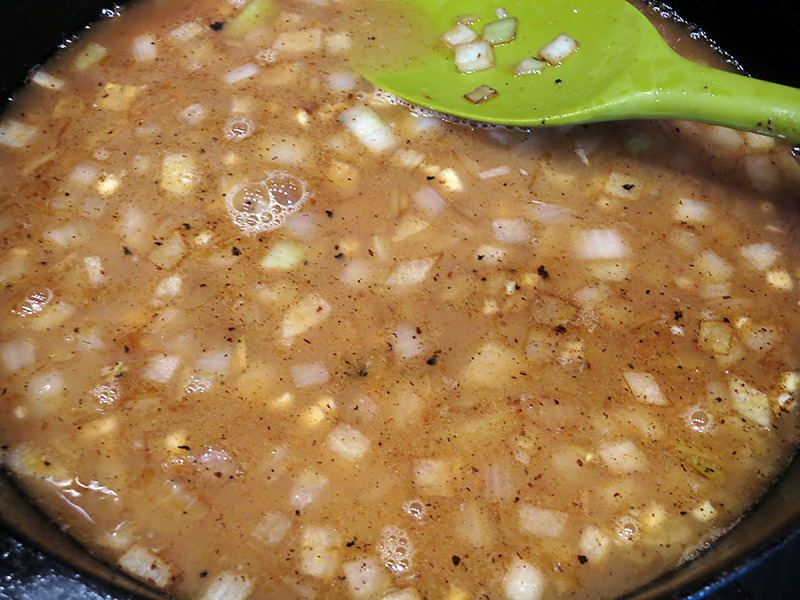 After using, replace some of the olive oil on the top to protect the sauce. 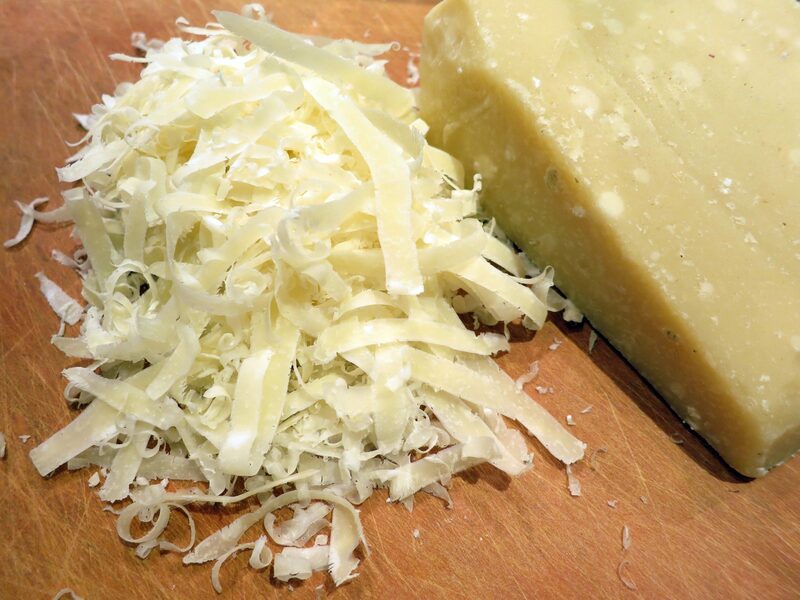 To test it out, we spread chèvre on baguette slices and topped it with the foriana sauce. Everyone fell in love with this stuff. I quickly gave the other two jars away so I wouldn’t be tempted to eat more of it! 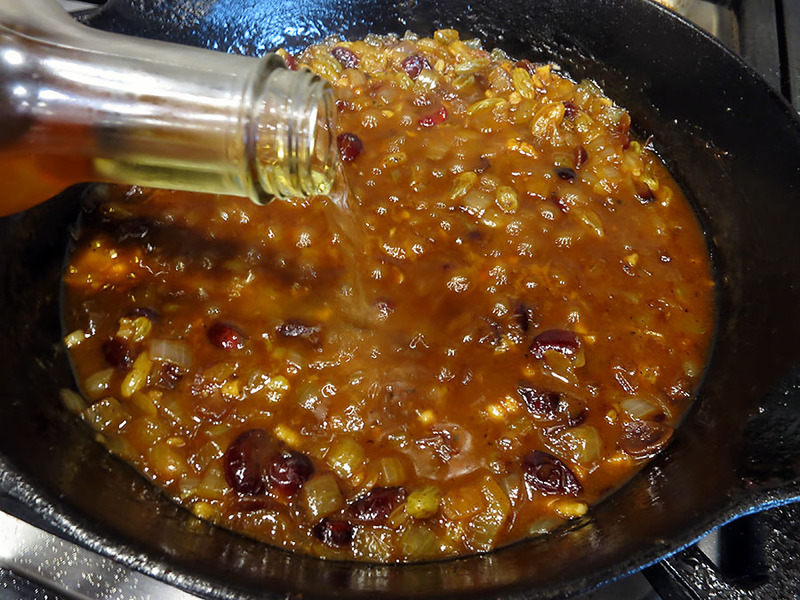 Then, the following Christmas, I made foriana sauce again, but this time with two different kinds of dried cranberries instead of the raisins. Just to make it more festive! Plus, I processed the nuts a bit more to make the sauce more spreadable. And once again, I can share with you that this stuff is heavenly! I tested it with a variety of cheeses, for the sake of research, and I found foriana sauce especially good with warmed bleu cheese! I hope you try this extraordinary “condiment” of sorts for the holidays. You will not regret it! When we were in Ireland last May, specifically in Dingle on the west coast, we were fortunate to stay at a lovely bed and breakfast right on the water called the Castlewood House. The multi-award winning B & B is run by Brian Heaton and Helen Woods Heaton, who opened Castlewood House in 2005. Helen runs the front of the house, and Brian, among his other duties, cooks breakfast at Castlewood. And, an outstanding job he does. But anyway, at this B & B, there it was, amongst many other elaborate breakfast offerings every morning. I could smell the wafting cinnamon smell all the way up to our room in the wee hours. I was a bit hesitant to try it at first, being that I didn’t need a sugar buzz so early in the day. But fortunately, I did. And I fell in love with it. 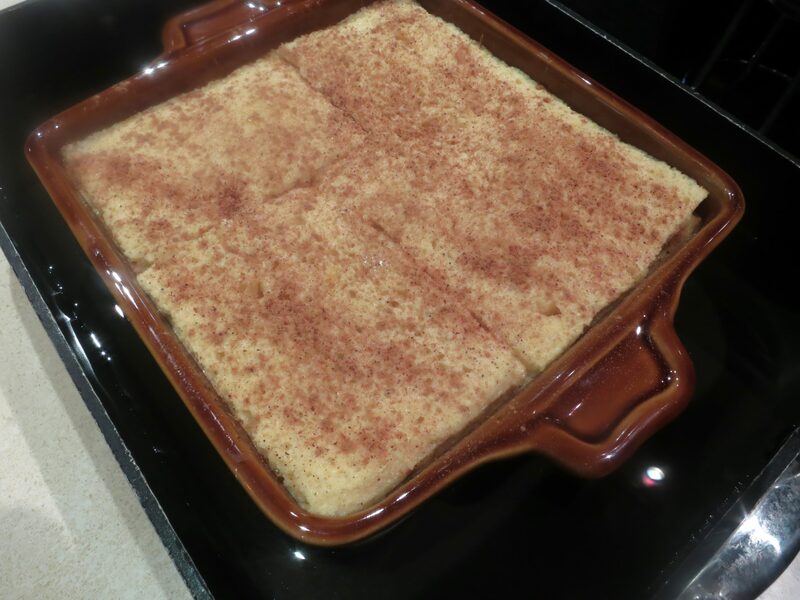 Helen told me that the recipe for this bread and butter pudding, as well as some others, are posted on their website here. 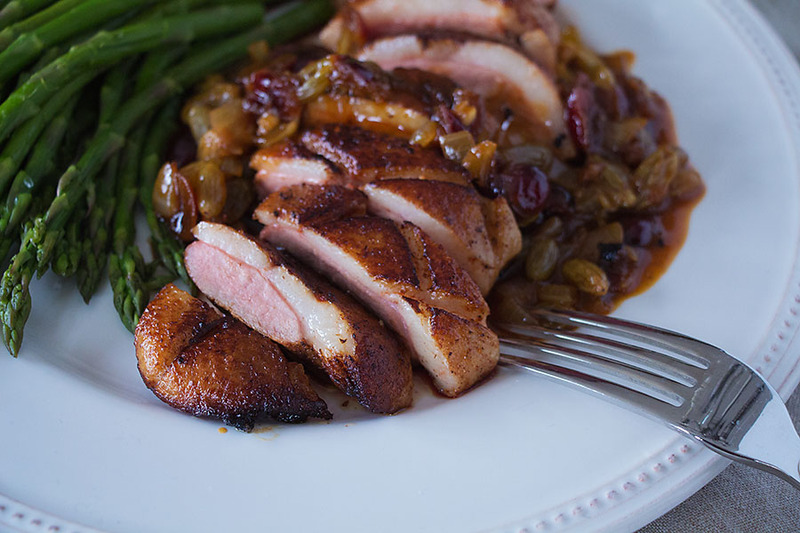 This is a recipe I can definitely see making during the winter months, because it is sweet and hearty, but I just couldn’t wait. And as it turns out, it would be good any time of the year, especially for a brunch. So here it is for you. It’s Brian’s recipe! I adapted the recipe just slightly, but you can get the original one by using the link. 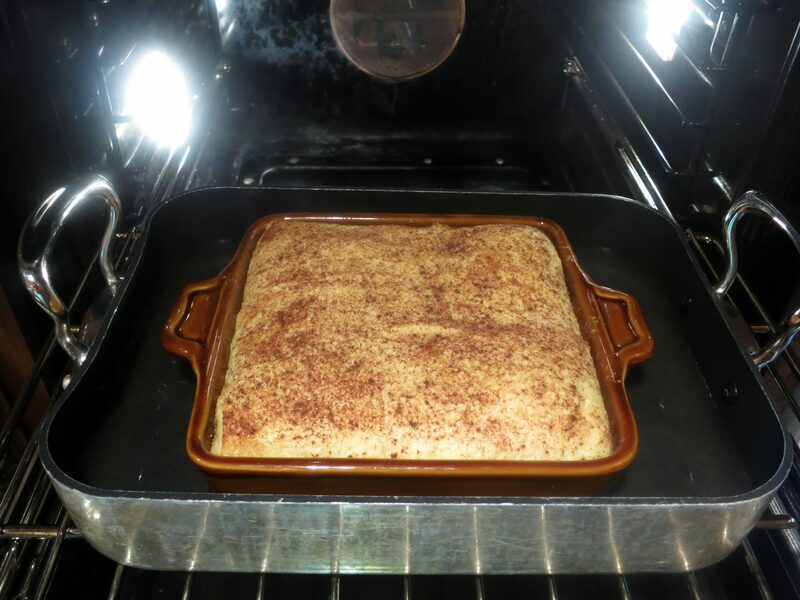 Have an 8″ square baking dish handy. 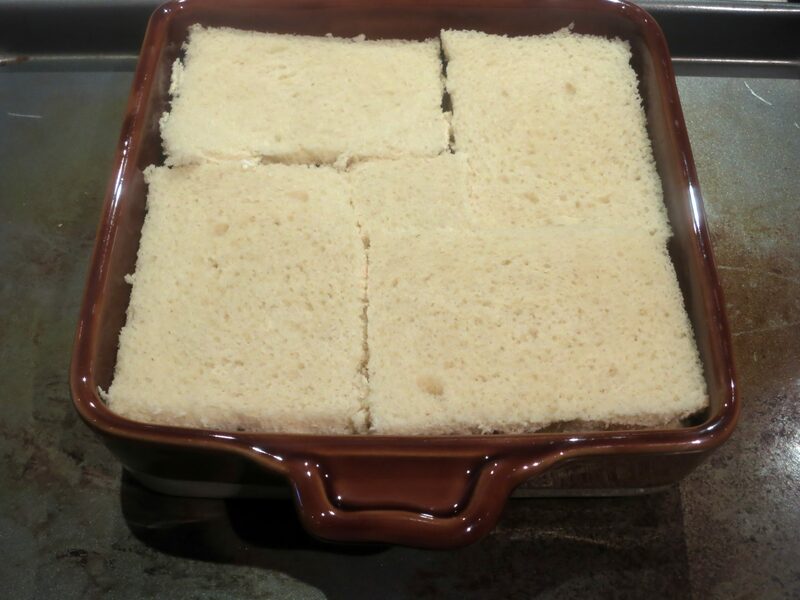 Generously butter four slices of bread and place them butter-side down inside the baking dish. Sprinkle with some nutmeg and add half of the raisins. Arrange another layer of buttered bread, buttered side down and sprinkle on the remaining raisins and more nutmeg. 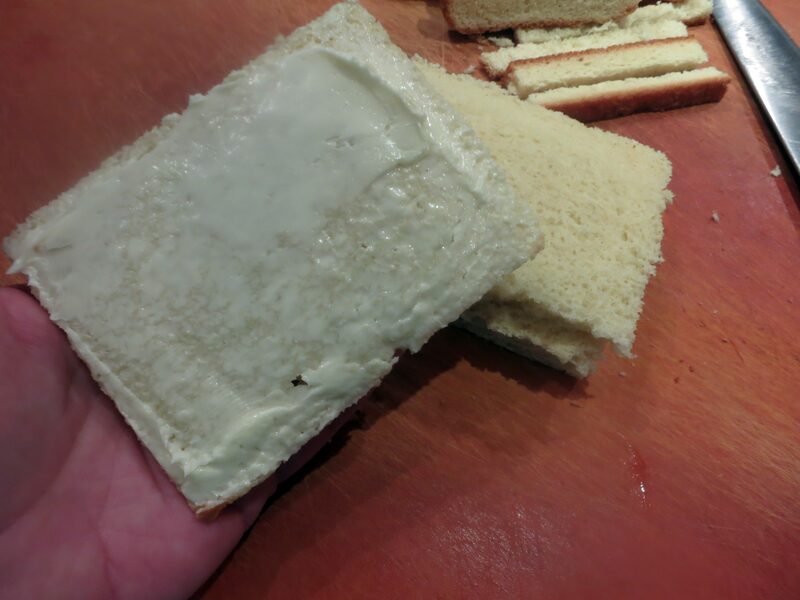 Cover with the remaining bread buttered side down. 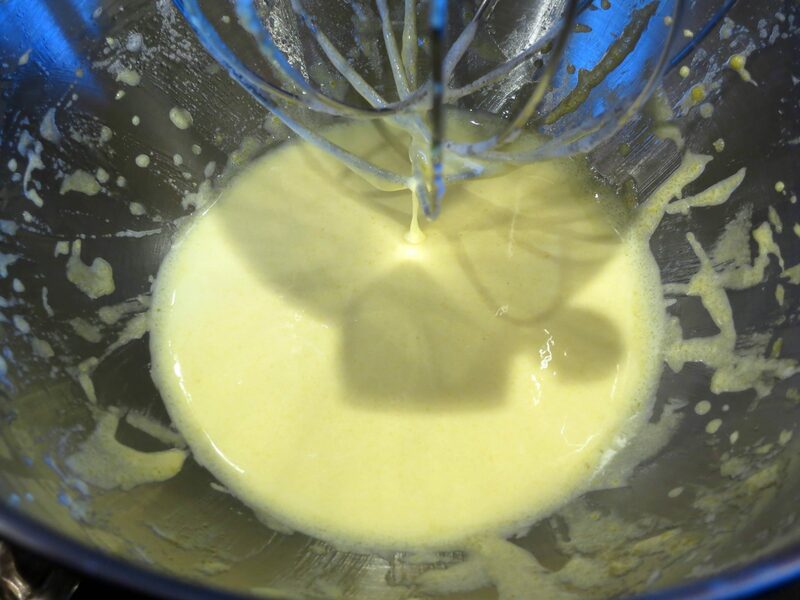 In a separate bowl whisk the eggs then add the sugar and whisk until smooth. Add the vanilla, cream and evaporated milk, and whisk until fully incorporated. 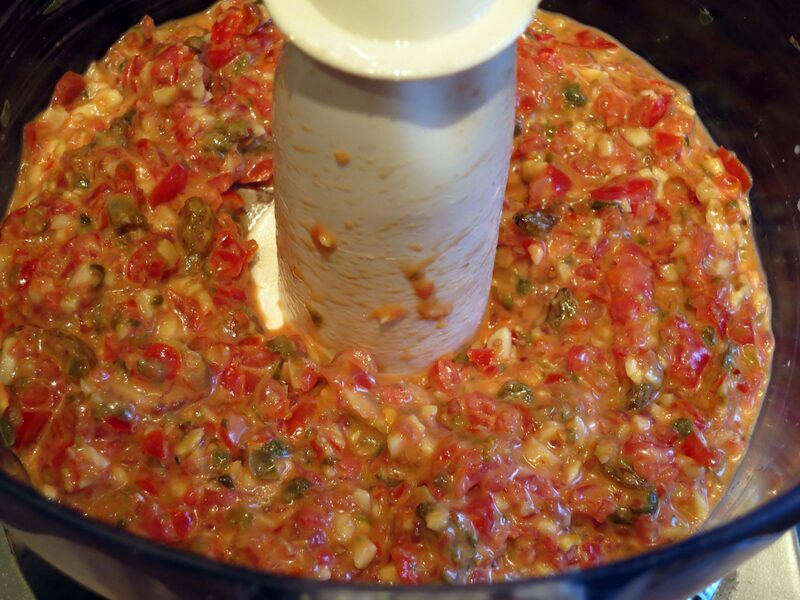 Carefully pour the mixture over the bread and leave to stand for one hour or ideally overnight. Cover the dish with aluminum foil and place the dish in a larger pan. 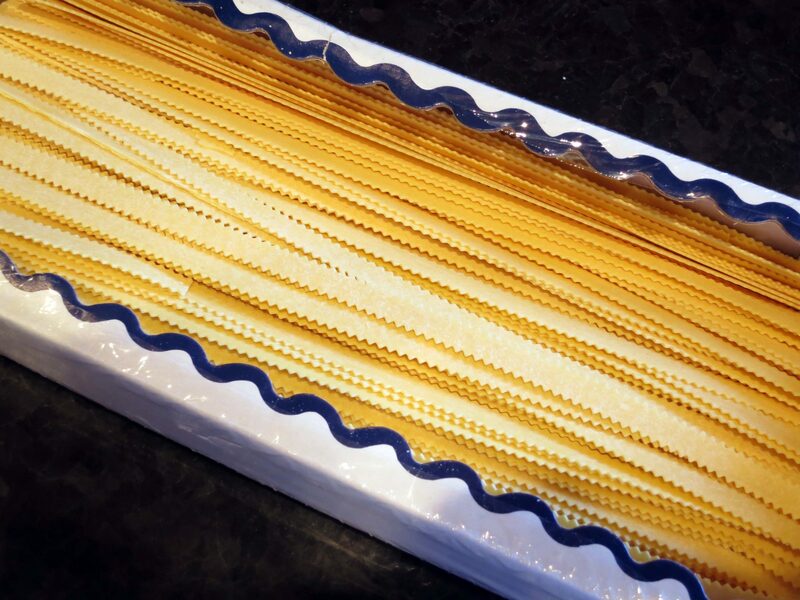 Fill the larger pan with hot water until the water reaches halfway up the baking dish. Bake in the middle of the oven for one hour, removing the aluminum foil 10 minutes from the end ensuring the top gets crisp and golden. 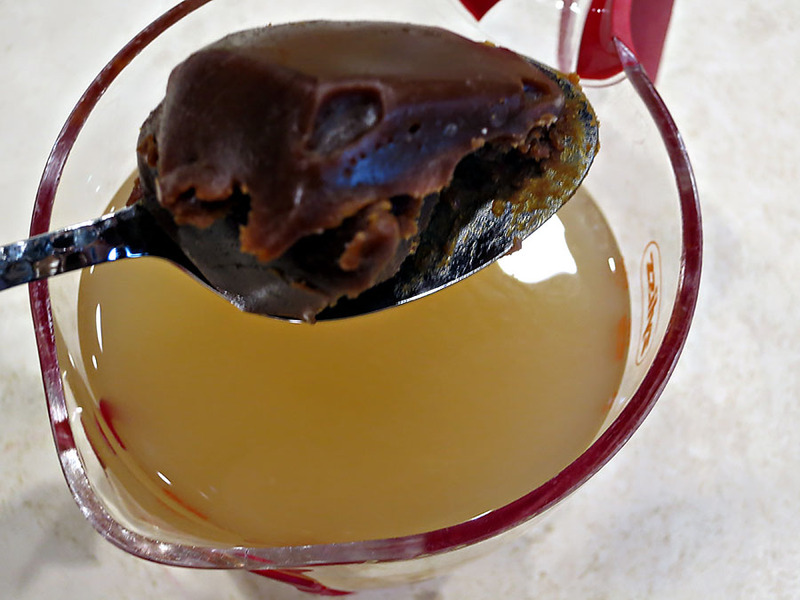 This photo shows what the pudding looks like after the foil is removed. 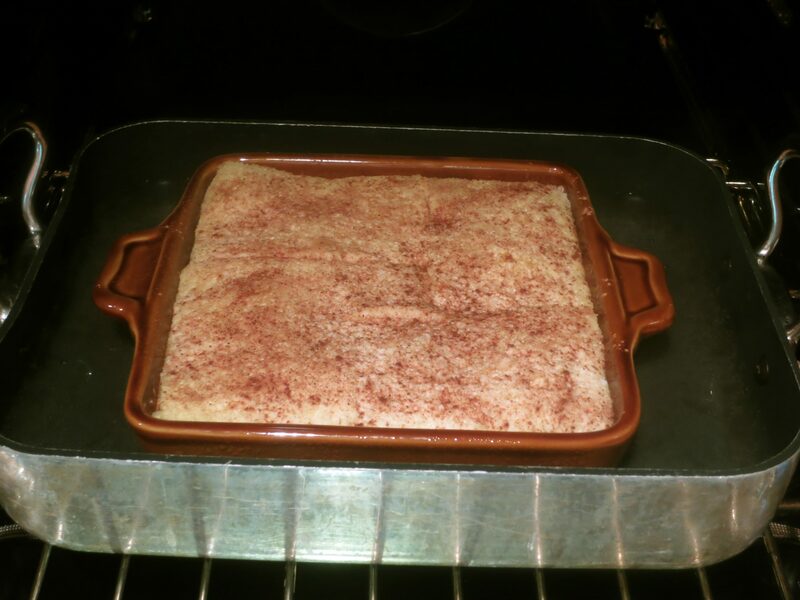 This is the photo of the pudding after the final 10 minutes in the oven. It’s a little more golden brown and puffy. I served the bread pudding with crème fraiche. Sweetened whipped cream would also be delicious. I also tried it with some fresh blueberries. 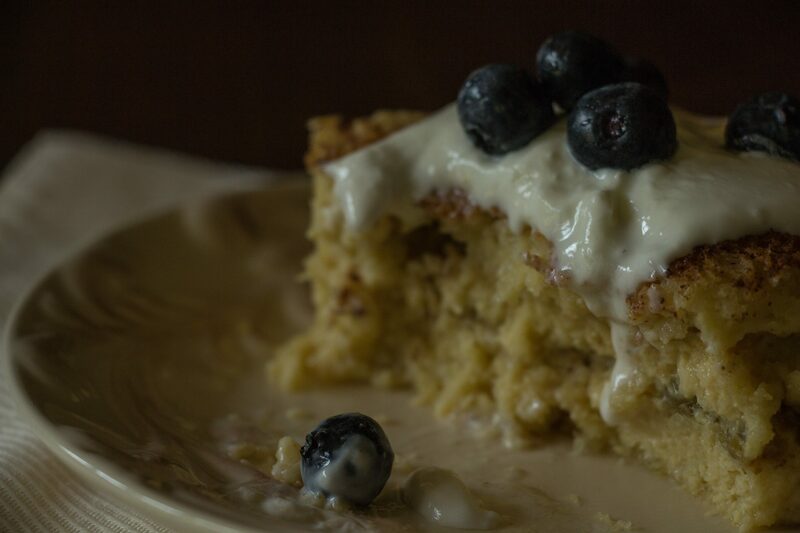 It was definitely good with the blueberries, but it is absolutely perfect without as well. See what you think! I hope if you ever go to Dingle, Ireland, in County Kerry, that you stop by and at least say hi to Brian and Helen, if you don’t have the time to spend a few days. 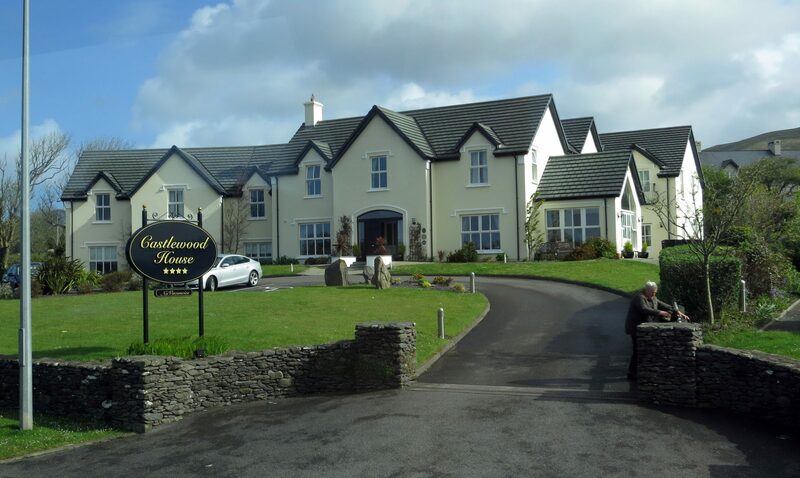 They are kind and generous people who are proud of their B & B as well as their corner of Ireland. Fortunately, Helen was also the one who guided us to have dinner at the Global Village in Dingle, which turned out to be such a wonderful experience. They can be tour guides for you, as well. I wish I could share the source of this recipe, but I can’t. It dates back to the days when I borrowed cookbooks instead of buying them. I would get stacks of cookbooks every week from our local library, zerox favorite recipes, glue them onto large index cards, and then go back for more. This was all for economic reasons, as there was a period of time while raising our daughters that the purchase of cookbooks would have been completely extravagant and irresponsible. This recipe is definitely Italian in origin, and I’m wondering if it’s from a Lorenza de Medici cookbook. But whose ever it is, it’s one of the few desserts I’ve made on many an occasion when I need to give a small gift of food for one person, or perhaps for just a few of us getting together for a girly lunch. 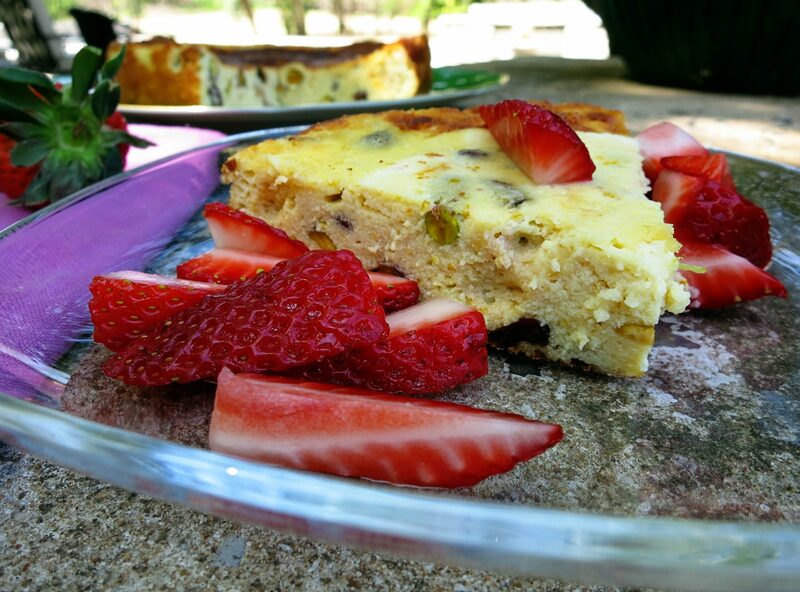 It’s a small ricotta-based cheesecake, that is moist and full of flavor. I hope you like it, too! 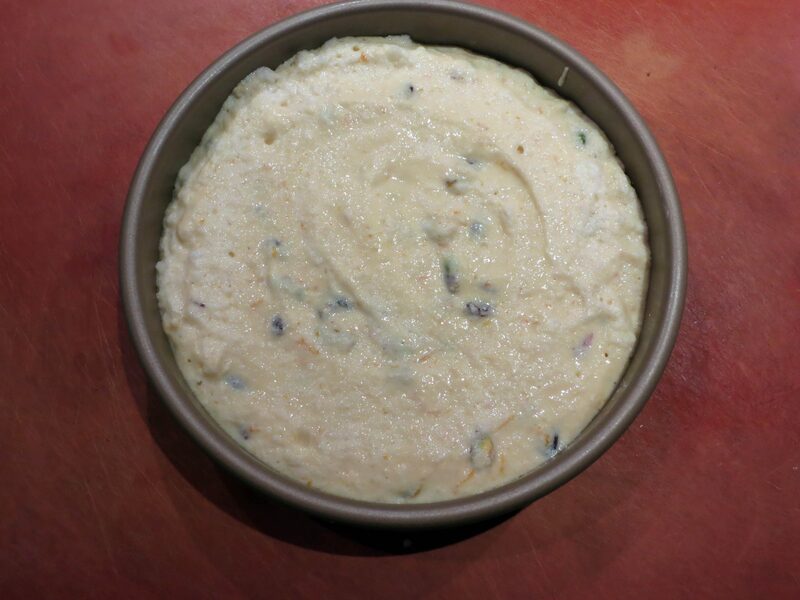 Drain the ricotta overnight in a cheesecloth-lined sieve. 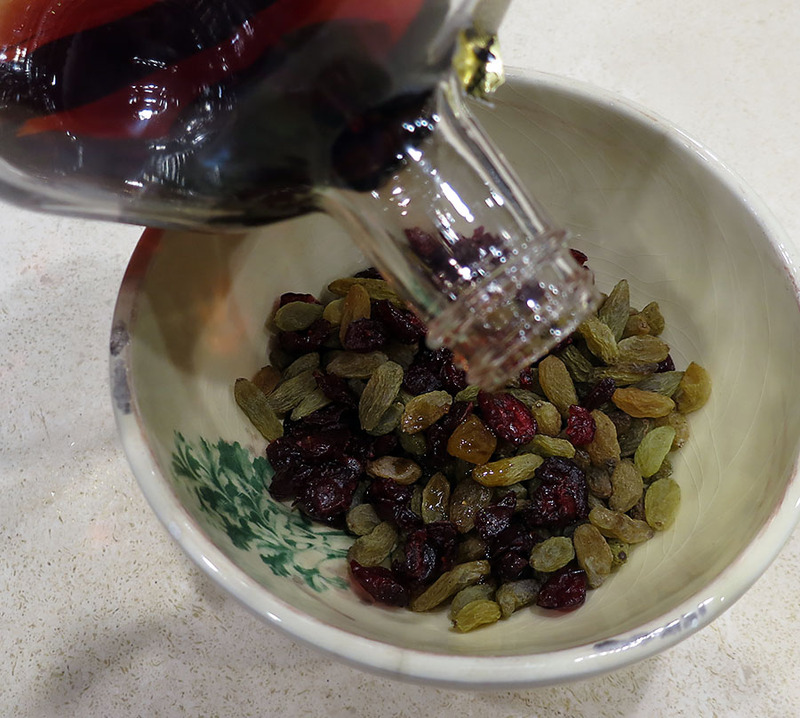 Soak the raisins in the rum. Preheat the oven to 375 degrees. Add the zest of the orange and lemon to a small bowl, and add the vanilla to the same bowl. Beat the egg yolks with the sugar and salt until pale yellow. 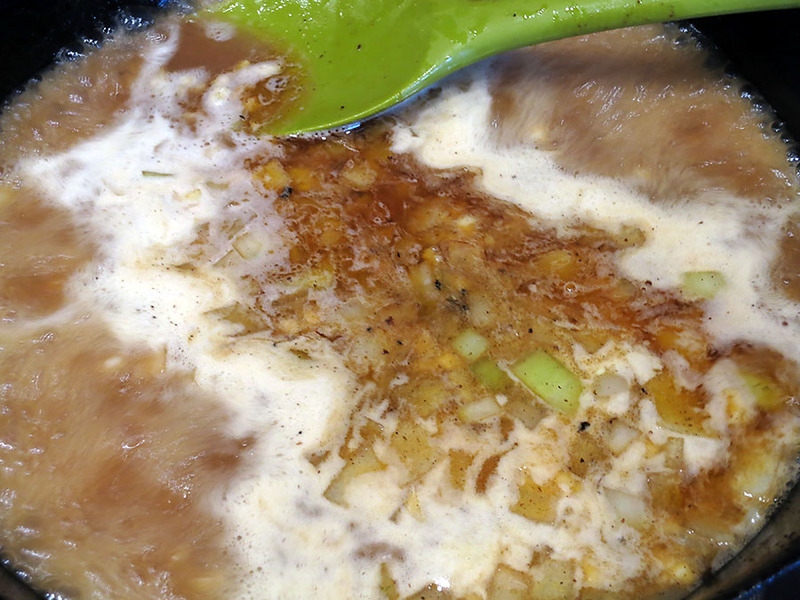 Add the drained ricotta, salt, and citrus zests, and blend thoroughly. 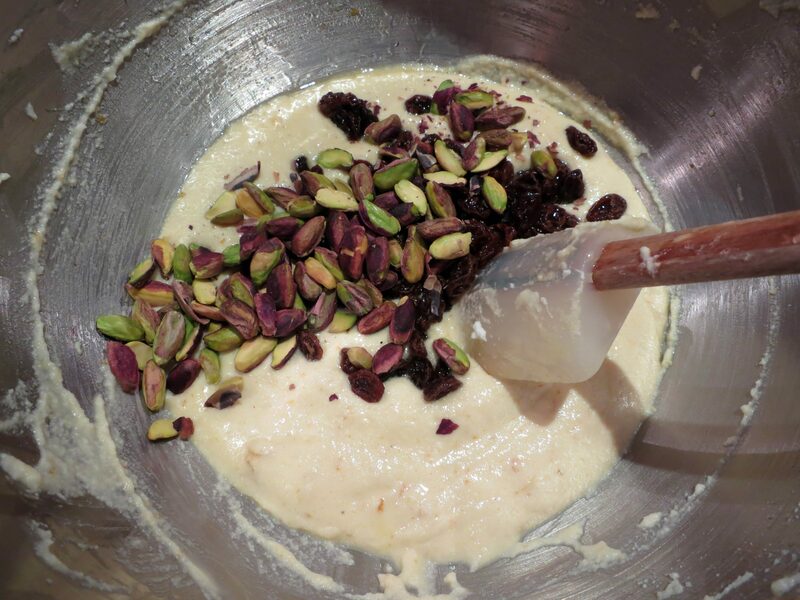 Add the pine nuts and raisins and rum, blending well. Beat the egg whites until they form stiff peaks. Fold them into the cake batter. Brush a 6″ springform pan with softened butter. 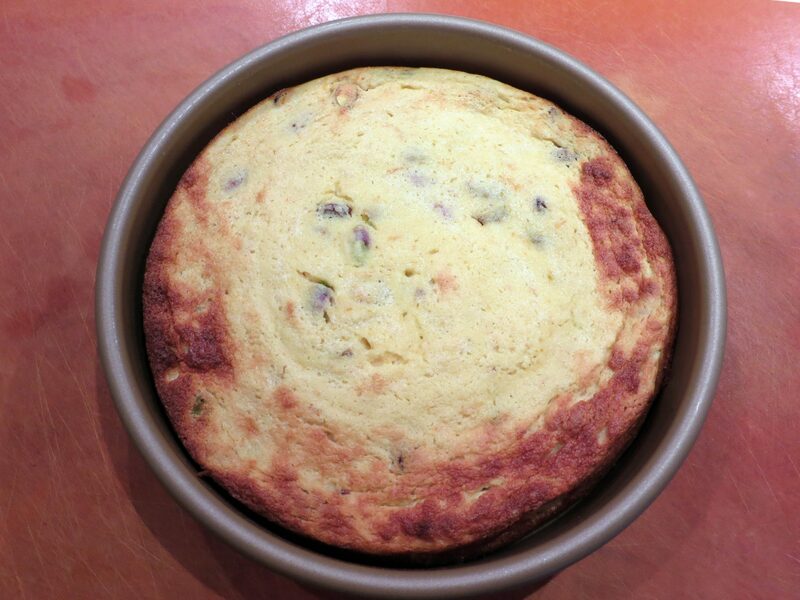 Pour the cake batter into the prepared pan, and bake 30 to 35 minutes. Cool for about half an hour, then turn onto a serving plate. It’s good warm or at room temperature. The torta will slice very easily. 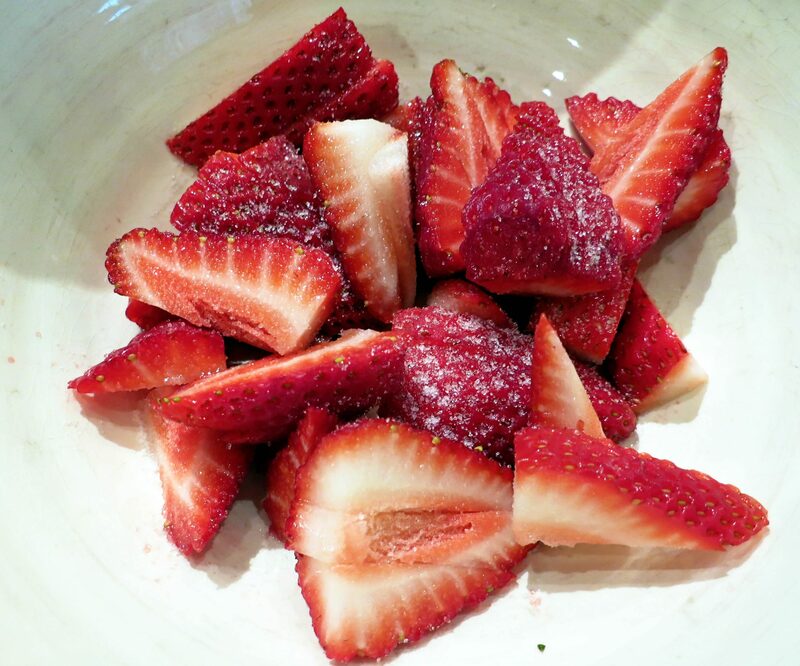 I served mine with some macerated strawberries, which just means that I sprinkled some white sugar over sliced strawberries, tossed them gently, and let them sit for about 20 minutes or so. But this torta di ricotta is such a delight, it doesn’t really need anything at all! verdict: The pistachios were just as good as the pine nuts.